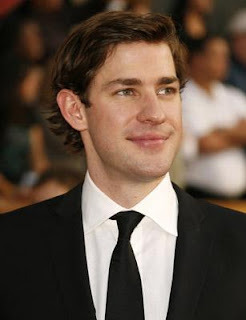 3-D Monster: John Krasinski as Captain America? 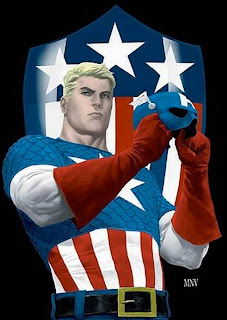 SuperheroHype reports that The Office's John Krasinski is now the front runner for the role of Captain America; The First Avenger. I don't think I'm seein' it. Don't get me wrong, I love Krasinski as Jim; the doofy, yet dedicated cubicle drone on the show, but I don't really see him as the sentinel of liberty. But then again, I said the same thing about Michael Keaton as Batman; "What the?!? Mr. Mom is gonna play Batman? That movie's gonna blow!!!" So yes, dear readers; I have been wrong before, so we'll see what happens! Yeah, at least Dwight has the whole "by the book boy scout thing" going for him. Hey! He does have that all american charm!